After a successful first year, Joe Bernardo decided not to conduct a 2018 wine academy without a minimum of ten students. The veteran winemaker thought the academy’s inaugural class might have exhausted demand with 23 graduates. It came as a pleasant surprised when he had to cap 2018 enrollment at 25. 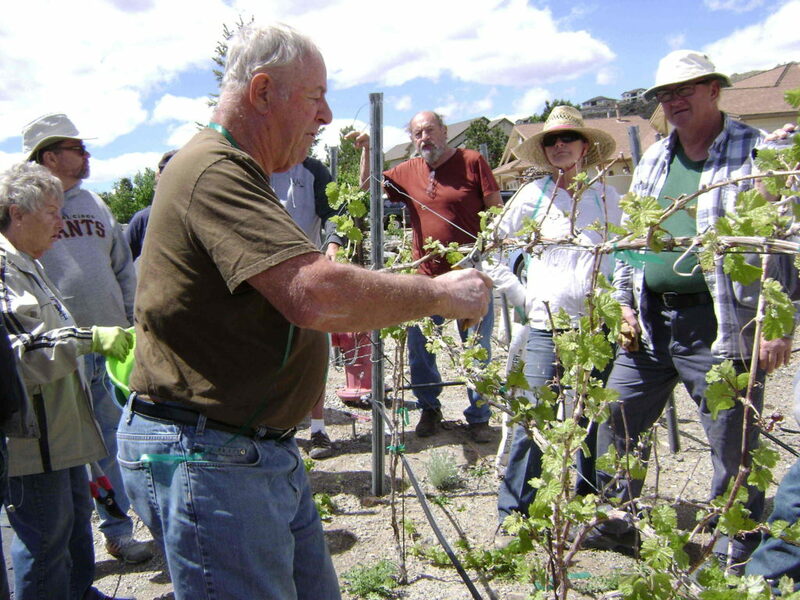 Students in the academy attend a class once a month, and spend supervised time tending 20 vines apiece in vineyards belonging to Bernardo, or in vineyards owned by experienced growers William Coplin or Mary Sauvola. Coplin co-founded the academy with Bernardo, and supervised students in 2017. He allowed the academy to earn 25 percent of the harvest from a broad assortment of mature grapes at his La Casa Castaña vineyard. Coplin’s grapes have produced wine for 8 years. After the 2018 harvest, the year-long academy will shift its focus from viticulture to winemaking. Bernardo has tweaked the curriculum to focus more on testing the wine as it ferments. He touched lightly on it the first year, believing the process was too advanced for entry level students. Students will start pruning vines in May. Until then, Bernardo says, the action will be in the classroom.